Piestewa Peak – Photography by Pat Kofahl - Together, We Make Memories! 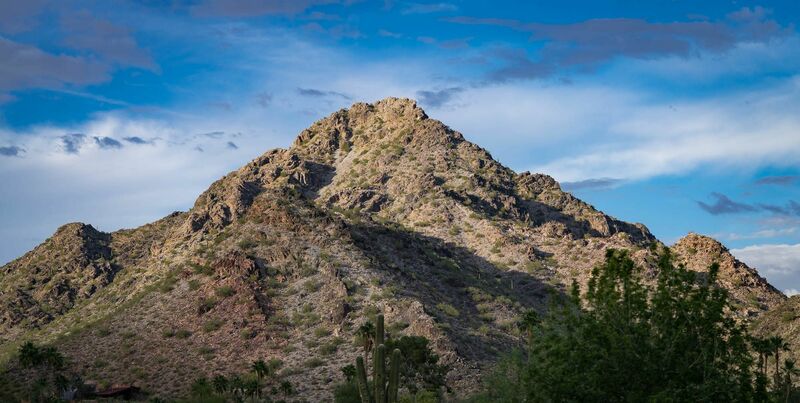 Piestewa Peak in central Phoenix is the crown jewel of the Phoenix Mountain Preserve. The trail to the summit of Piestewa Peak was first constructed by a wrangler employed at the Biltmore Hotel sometime around 1930. Now, it is one of the most heavily used trails in the nation with 4,000 to 10,000 hikers per week. The trail ascends Piestewa Peak to the highest point in the park. The original image was taken with a Sony A7 IIR digital camera, combined with a Sony FE 90mm lens. The resulting 42 megapixel has tremendous detail, allowing the viewer to actually see multiple figures standing on the summit.